Sep 24, 2016. In today’s Torah portion, Beresheeth, Genesis 1:1-6:8, (yes, we are reading out-of-sync to the rabbinic calendar), we encounter once again the creation of the earth, sun, moon, and stars. The sun is visible only during the time it is above the horizon. Period. It’s enormous brightness when above the horizon outshines everything! Yet when it dips below the horizon, its magnificence and enormous brightness are completely diminished for a few hours. But the moon, well, the moon tells a completely different story. The moon is visible every day, sometime during the day or night, except when it is near conjunction with the sun. 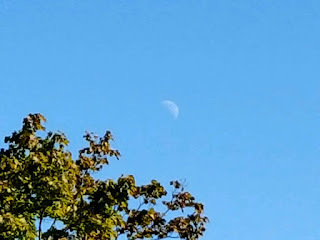 The moon can first be seen a day or two after conjunction, after the new calendar month has begun, when it is observed as a thin crescent we call “new moon”, but from that time of initial visibility until it once again goes into conjunction, the moon remains visible in the daytime or the nighttime, the entire month! 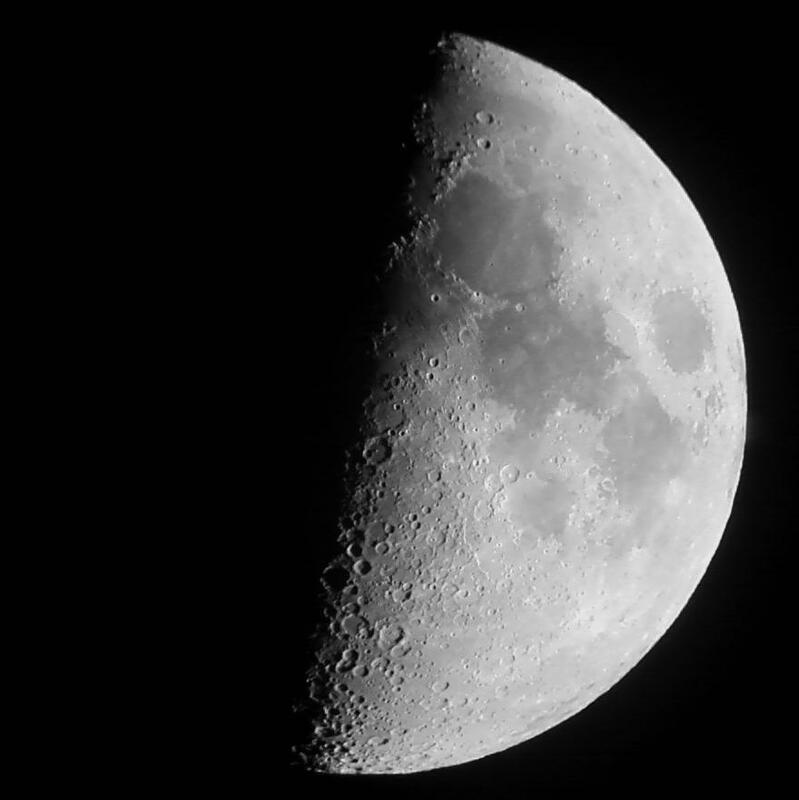 Take for example, the “1st Quarter Moon” we know as the “half moon”. Few realize that the 1st Quarter moon rises at noon and is visible from noon till about midnight when it sets. But most people don’t even see the moon till the sun is about to set for only then do they notice the bright moon against the blue, but darkening sky. 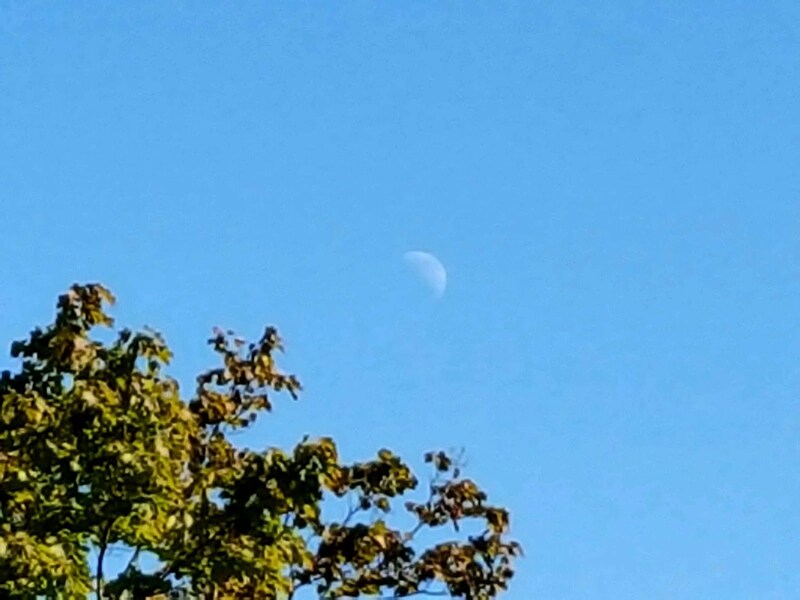 If only they would look to the east, after noon, they’d see the 1st quarter moon coming up over the horizon. So why is the moon not noticed, even though it is there? Because the sun dominates the day, that’s why! Indeed, it is a fun project to establish just how soon after “new moon” the crescent can be seen in the daytime. One must be careful to shield one’s eyes from the sun, but with care, the 3-4 day old crescent can be seen next to the sun, to the east of the sun starting in the late morning. 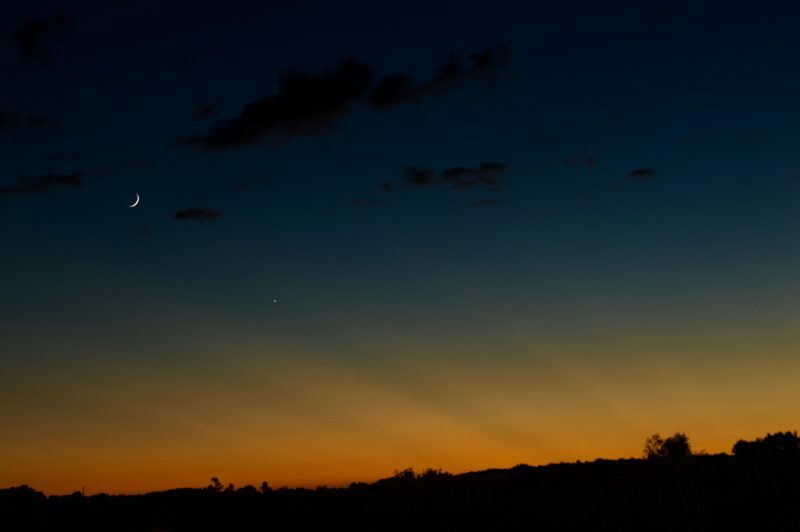 Then, of course, as the sun sets and the sky begins to darken, the waxing crescent rapidly becomes more visible until it sets later and later each night. So how it is that the moon “dominates” the night? Well, imagine there were no moon. With no moon, (and no man-made lights), the splendor of the stars would be visible to all, and the stars (and planets) would be all you see. 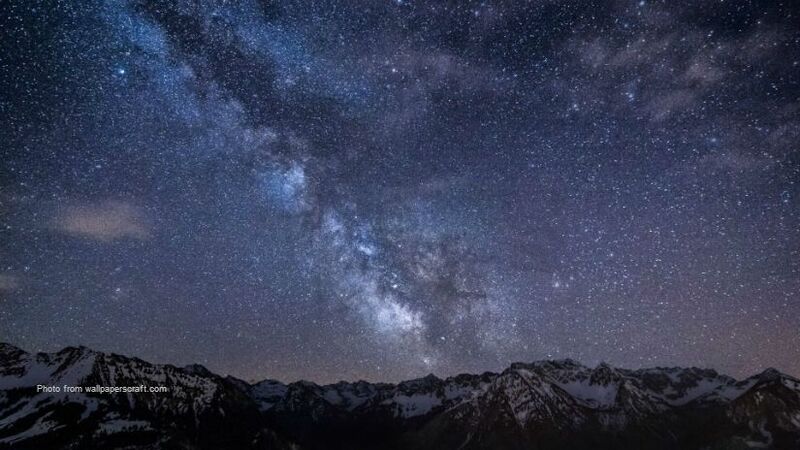 Indeed, the moonless, night sky is truly something to behold as long as one experiences what is called a “dark sky” meaning no or very few man-made lights for hundreds of miles around. With no moon, and no man-made lights the night sky comes “alive” with a magnificent canopy of stars! I feel sorry for people who have never experienced a truly “dark sky” because they spend their lives immersed in the cities, surrounded by so many man-made light that the glory and magnificence of the heavens is completely obscured from them their whole lives. But I digress. So now, let’s restore the presence of the moon. 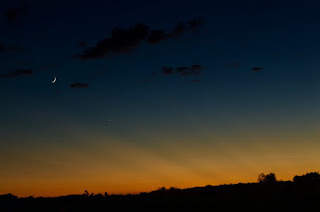 When the moon is first visible at sunset as a thin crescent, and every night thereafter as it waxes to full, until it wanes to the old crescent which rises in the east just before sunrise, what is unique about it? Its uniqueness is that it is the most visible object in the sky! No matter how dark your night sky, if the moon is present, it will be spotted! It dominates ALL the stars! Even as a thin crescent, it is brighter and more noticeable that the brightest star. This is how the moon, the “lesser light”, dominates the night. Ironically, the sun actually retains its dominance because the moon has no light of its own – it is simply reflecting the light from the sun! So in a strange twist, the sun always dominates, day and night, except for that brief part of the month when the moon is in conjunction and the stars get to display their own magnificence – if only we had a dark sky in which to enjoy them. Now perhaps you see the beauty and the brilliance of the scriptures in Genesis 1. “Let there be lights in the dome of the sky to divide the day from the night” – indeed the day and night are divided, yet not equally, but in a most magnificent manner. If we had no “night”, imagine what we’d lose if the sun shone 24 hours a day! If we had no dawn or dusk, imagine how strange it would be “blinking” from light-to-dark at sunset then back to light as it would if the “dome” of the atmosphere surrounding us was not there. The beauty of how “day and night” are established by the lights and the sphere the earth and the atmosphere is amazing. “…and let them be for lights in the dome of the sky to give light to the earth” – how brilliant! The sun provides light in the day AND the night by reflecting its light off the moon. Yet the moon’s role in that light is not diminished by the fact that it provides no light of its own. Brilliant! 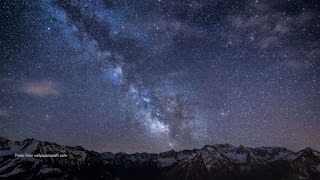 “God made the two great lights — the larger light to rule the day and the smaller light to rule the night — and the stars.” One short sentence which speaks volumes – true in every word. A “larger” light, a “lesser” light, one rules the day, one the night, and the stars – all together they establish the day, night, month, year, when to sow, when to harvest. Indeed, our very lives depend on the simple rhythm established in this verse. “God put them in the dome of the sky to give light to the earth, to rule over the day and over the night, and to divide the light from the darkness” – a rephrasing of the previous verse yet adding an important thought. “God put them in the dome of the sky.” Here the positions and the orbits were established to do exactly as god intended. “…and God saw that it was good.” The word “good” is understated here! The Hebrew is “ki-tov”, which does mean “good” but in the sense that this is a “beautiful or precious thing”. What god gave us is truly more than “good”! What He gave us is precious. I hope you see now how important Genesis 1:14-18 is to you and that maybe, just maybe, the next time you look up and unexpectedly see the moon, perhaps at a time when you would not have expected it, you’ll remember these verses and feel blessed that you can look up any time and see the results of this magnificent creation. Scripture is clear in stating that the moon is a light of its own. There is no indication that it relects the sun. What an amazing timepiece YHWH created! There's two issues here: First there is the Hebrew word in Genesis 1:16. The Hebrew used is "Ha-ma'or" and means "luminous body", "luminary" or "light". It DOES NOT have to be a "self luminating" body! Second, perhaps ancient man did not quite understand enough to comprehend that the moon only reflects light, but we do! So we simply CANNOT argue that scripture requires the moon to have light of its own because it simply would not be true! There are many such words and verses in scripture which people often misunderstand. For example, some people think the earth is "flat and immovable" because they think scripture says so. But they have misunderstood the scriptures through either poor translations or poor understanding of the text, or both.